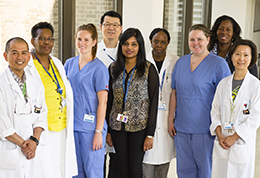 Sunnybrook will be moving to an electronic documentation system within the next three years. 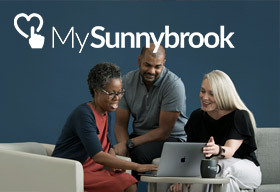 As we make this transition, Sunnybrook’s clinical documentation department is seeking patients to participate in a focus group for documentation and care. Sunnybrook's Women and Babies Program has a Family Advisory Committee that provides input and feedback on the work of the program in areas such as family education, development of new initiatives, development of policies and more. A Patient and Family Advisor is a volunteer who provides advice to the Holland Centre team so that we can meet the needs of our patients and their families in the best way possible. Why does the Holland Centre have Patient and Family Advisors? We are committed to providing patient and family centred care. We know that our patients and their families have a vital role in ensuring that their needs and priorities are included in all aspects of care. Our staﬀ connect with Patient and Family Advisors to get their advice on important topics in our program. What are ways I could participate? Our advisors can choose from a number of roles. For example, we need advisors to be members on our Partners in Care Council or to be willing to be contacted for advice about new resources or services. You can also help by sharing your own recommendations and ideas to improve the patient experience. What is the Partners in Care Council? The Partners in Care Council consists of patient and family advisors and members of the Holland Centre team who meet several times a year to discuss a range of topics that will improve the experience of our patients and families. What does a Patient and Family Advisor not do? Advisors do not take on the cause of a specific patient or family member. It is important to remember that your role is to provide advice to the Holland Centre Program, guiding the decisions about how services and care are delivered. What is the time commitment of a Patient and Family Advisor? Or, you may decide to just provide your contact information and be willing to be contacted from time to time about your opinion on new resources or changes in care practices. How do I become a Patient and Family Advisor? Please complete a Holland Centre Patient and Family Advisor application. Once we receive your application, we will contact you to discuss further. Help us train our future doctors! Patient volunteers are needed to give medical students a chance to practice interviewing and examination skills on real people. 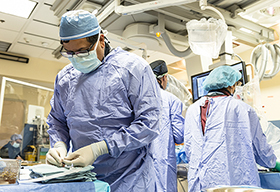 As Sunnybrook is fully affiliated with the University of Toronto, we have over 200 medical students undergoing their clinical training here under the University of Toronto Peters-Boyd Academy. If you have experienced a variety of health conditions (e.g. diabetes, high blood pressure, cardiovascular disease, osteoporosis, epilepsy, thyroid conditions, asthma etc.) and are willing to speak about them and be examined by a medical student, please let us know. You do not need to have been a patient at Sunnybrook. You will be asked to complete a Patient Volunteer Registration Form. 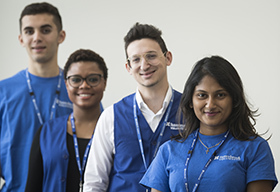 We are looking for patients to help train our medical students. You do not need health-care experience to volunteer. You will be asked about your recent surgery and given training to provide feedback to the students.